I blame the Matriarchy. Which is a silly way of saying it’s First Reader’s fault. She’s the one who bought me one of those DNA tests for Christmas. And yes, I know—they really can’t tell you a great deal of specifics, more in broad swaths, and to be fair this one didn’t say anything I either didn’t already know or strongly suspect, though I was open to surprises. There weren’t any, but that’s neither here nor there. The real trouble started because the test included a temporary membership in an online genealogy site. One of my compulsions is research. It’s proved to be a very handy compulsion, especially in tackling projects like the Yamada saga, but unfocused it can be a time sink, and now I was staring right at one. Being a child of divorce was part of the problem, but even on my mother’s side the family memory didn’t go back much before the Depression. In short I grew up knowing almost nothing about the origins of either side of the family, and I admit to being curious. Anyway, combine opportunity with curiosity and there was no way I could resist. So what did I learn? Bits of trivia of little interest to anyone else, really. Not that I’m not going to bore you with them. 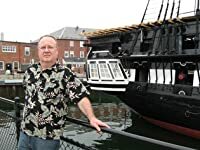 I admit to being a little surprised—my father’s family emigrated much earlier than I’d supposed, mid 1600’s, and arrived just twenty years after Virginia was granted its royal charter. Right now I’m stuck at about 1595 on that side. My mother’s side, on the other hand, easily traces back to some guy named Ralph in the 14th century. The only surprise there was that they were of the knightly class and had a “seat” near London, which they later sold to the Tufnells. (Spinal Tap fans will appreciate the reference). They came over about the same time as my father’s family, or possibly a little earlier. One thing both sides of the family had in common was just this—they were immigrants, arriving much to the annoyance of the people who were already here. And I don’t want to hear “legal vs illegal”–if you were able to (or forced to) come here, you did. That’s how it worked. So maybe we should cut the new people a little slack? Just saying. 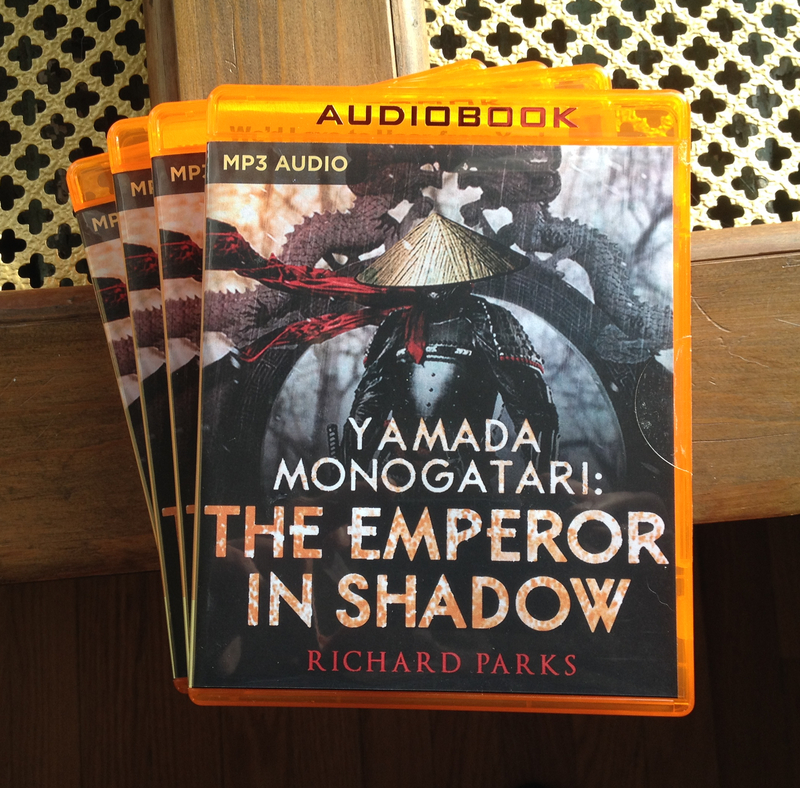 Surprise package in the mail last week, from my publisher’s agent—physical copies of the The Emperor in Shadow audiobook. Just the thing for those long drives in vehicles that still have those, what were they called? Oh, right. CD players. I’m sure there are a few around…other than mine. I wonder if I should preface this next section with SPOILER ALERT, or some such, but for those who don’t know, The Emperor in Shadow is the concluding volume in the Yamada Monogatari series. I’m not going to say that I’ll never write another Yamada story, because I don’t know that (he also has another sister we still haven’t met), but the main story arc is completed, since the series always had an endpoint and my only uncertainty was if I’d get it there in a reasonable time frame. The answer turned out to be yes. 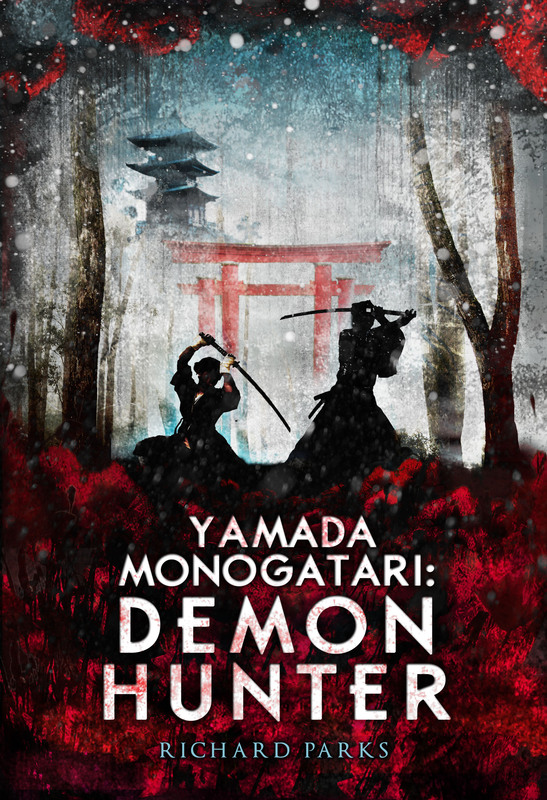 The publisher plans an omnibus volume which will gather all the Yamada stories, plus three stories not yet collected, plus the three novels. That is likely not to be out until 2018. After that, well I plan to be doing something else. I hope some of you are willing to stick around for that. More details when there are any to share. 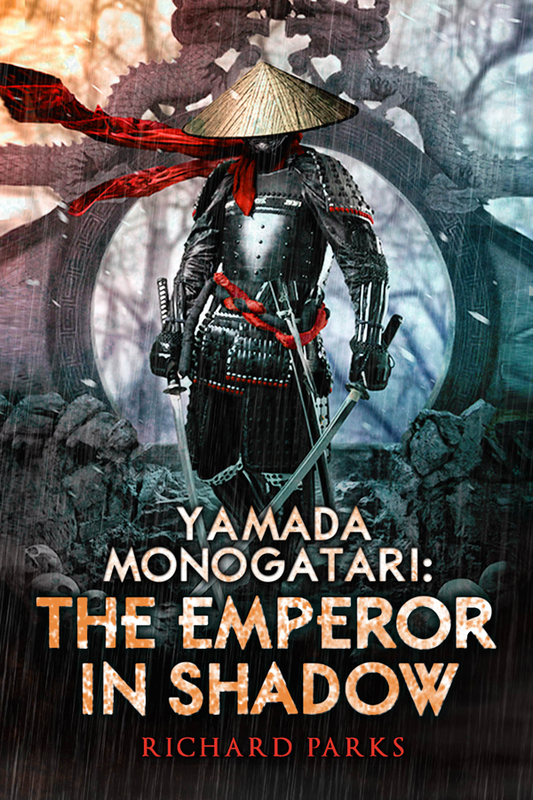 Now that I’ve got them all together and out–or soon, in the case of the print edition of The Emperor in Shadow, I thought it might be sensible to list the entire Yamada Tetralogy, with links. Because I’m all about convenience. Spent all day up to a few minutes ago doing taxes. I had been putting it off, mostly because I knew I’d lose a writing day just to get everything together (moving, buying a house tends to complicate things, and they’re complicated in the best of times). 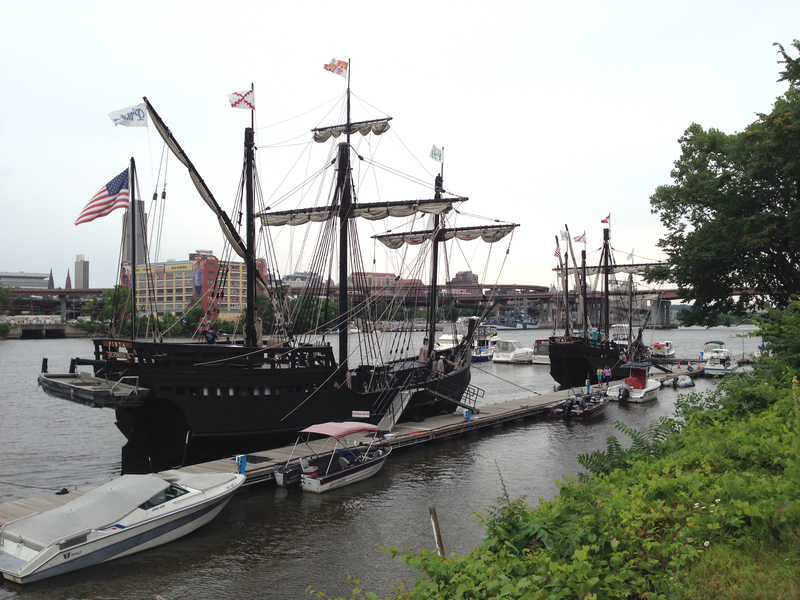 So now I’m tired and cranky, which is the perfect time to do a blog post. Heck, I’m almost cranky enough to start on politics. Almost, I said. I’m not a complete idiot. Most of the time, anyway. 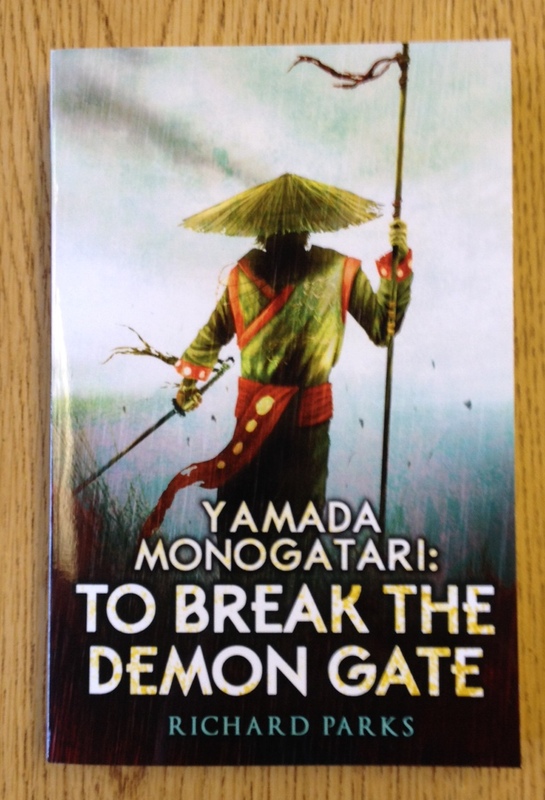 Just around the time the book should be done I have an Asian-themed story due for an anthology. 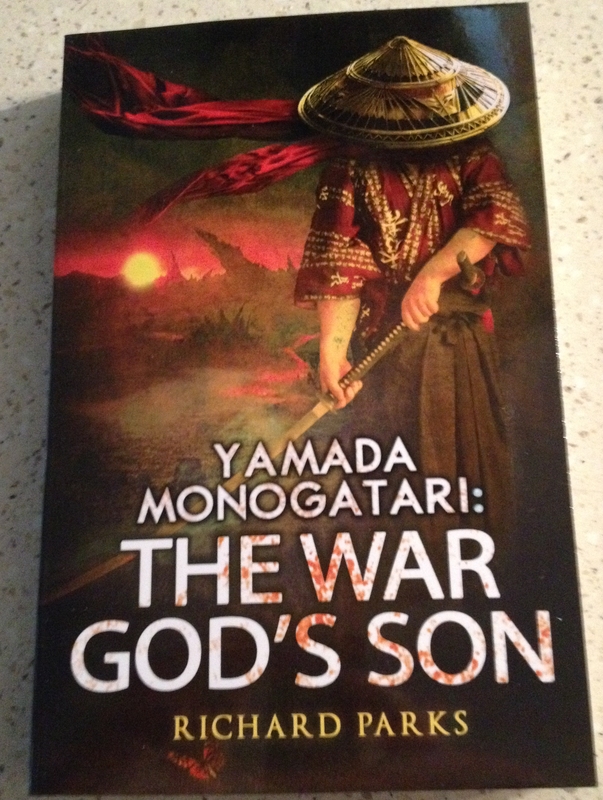 It won’t be a Yamada story. Time to do something else, and specifically, time to write some short fiction again. 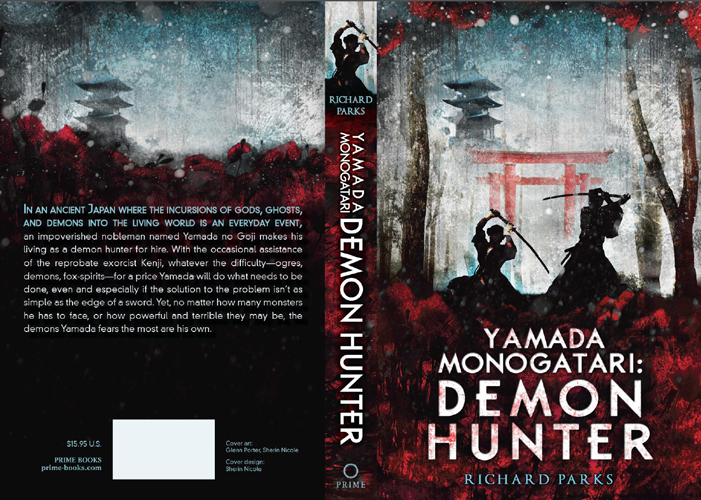 I’m thrilled to be able to do novels, sure, but I love and miss the short form as well, of which I’ve been able to do practically none in too long a time, first with the Laws of Power book, and then the Yamada taking all the writing time I’ve had. I have one more book to write in the Laws of Power series and that’ll be done. Yamada? Well, we’ll see.